Hello, everyone! 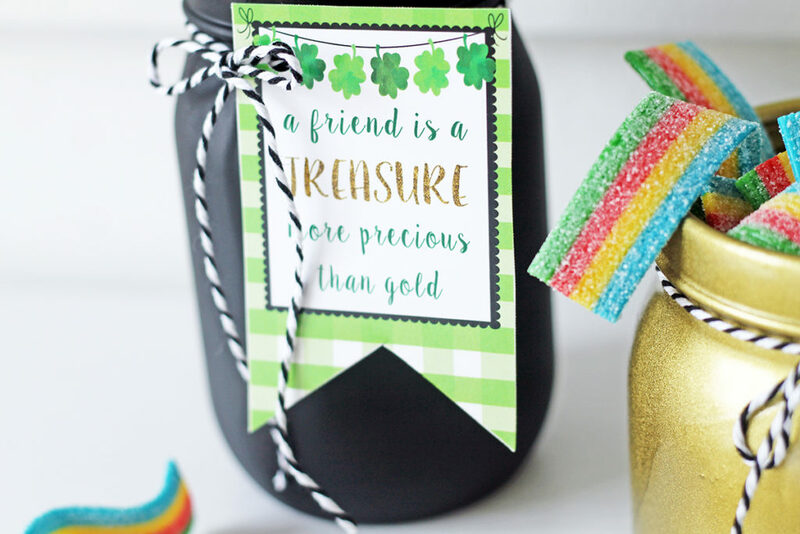 It’s almost St. Patrick’s Day…do you have your green ready? I need to find my one and only green sweater in the back of my closet. No pinching me! I simply spray painted some old glass jars, one with metallic gold paint and the other one using black paint. 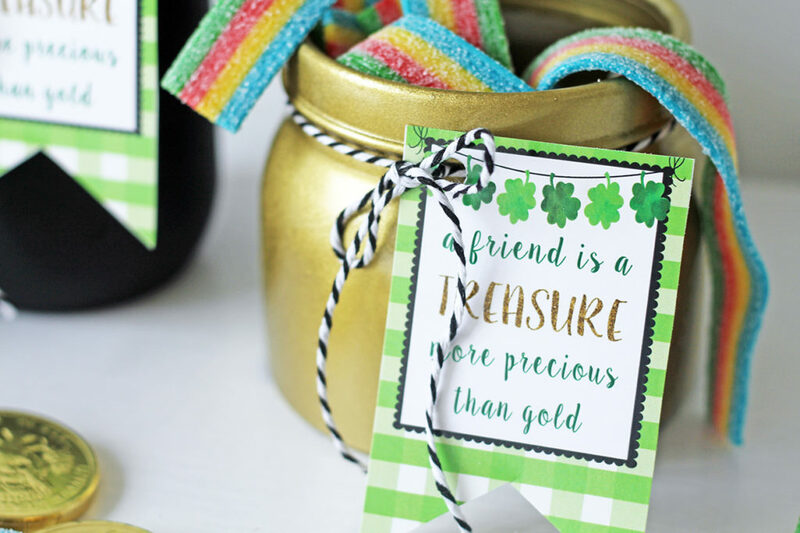 Then I tied THESE ADORABLE GIFT TAGS from Sunshine Tulip Design around the neck of each jar with black bakers twine. 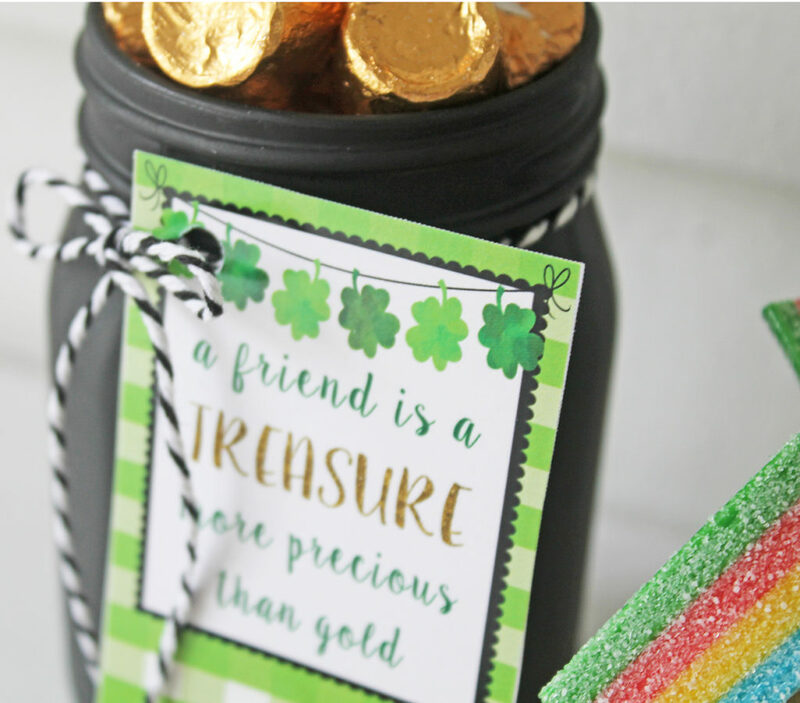 And then the fun part…filling them with some sweet treats! 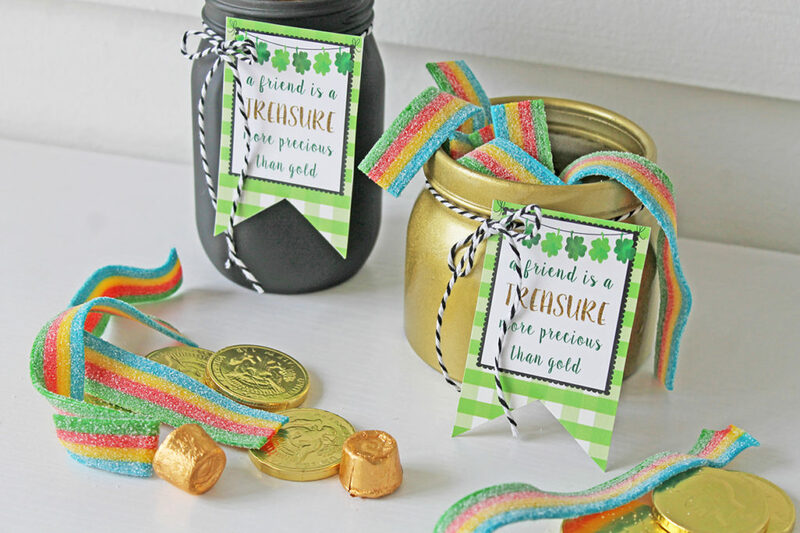 I chose gold-wrapped Rolo candies for the black jar and sour rainbow belts for the gold jar…an eye-catching contrast! 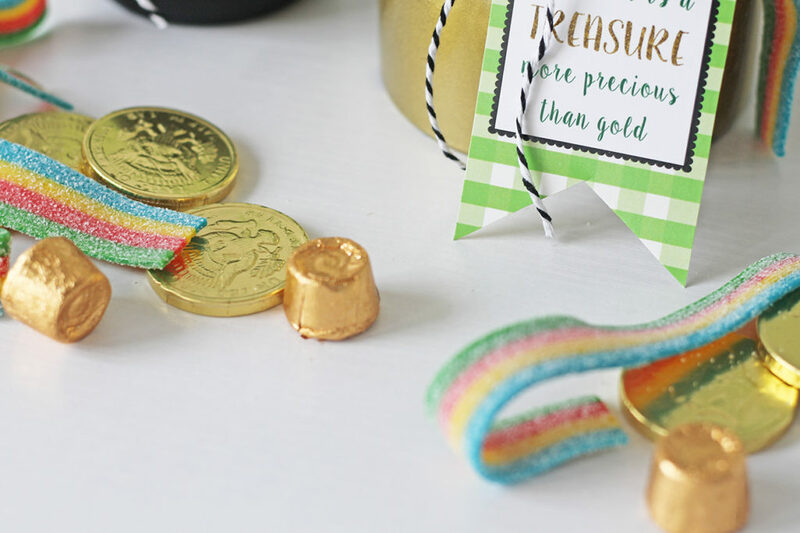 Although candy usually catches the eye of most without any decorative touches, right?